Welcome to the ArchiMate resources site! 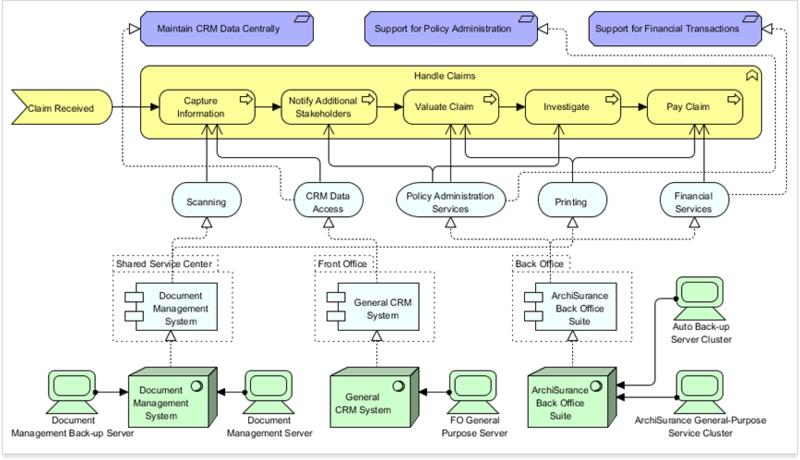 ArchiMate offers a visual language to model and capture enterprise architecture. It provides a means to visualize relationships within and between different domains. These domains primarily include products/services, processes, organization, data applications and technical infrastructure.